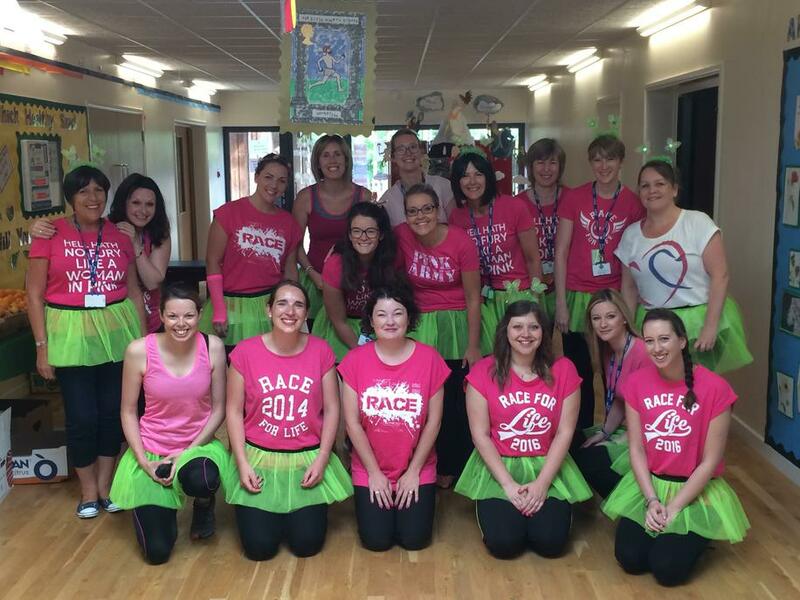 Although staff at abbots Green were disappointed that Sunday's Race for Life at Nowton Park was postponed...they were very pleased that our own Race for Life in school was able to go ahead today. The children and staff were invited to come into school dressed in pink and/or blue and they took part in a walk/skip/run around the field in the afternoon. Donations were made to Cancer Research. We thank everyone for their contribution...watch this space for the total amount raised!